WEDNESDAY WORDS! TOP BOOKS OF THE WEEK! 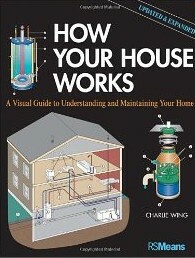 How Your House Works, Second Edition reinforces the fact that it pays to be an informed consumer. Knowledge of your home’s systems helps you control repair and construction costs and makes sure the correct elements are being installed or replaced. How Your House Works uncovers the mysteries behind just about every major appliance and building element in your house. Clear, full-color drawings show you exactly how these things should be put together and how they function, including what to check if they don’t work. Jazz Age Josephine: Dancer, singer–who’s that, who? Why, that’s MISS Josephine Baker, to you! 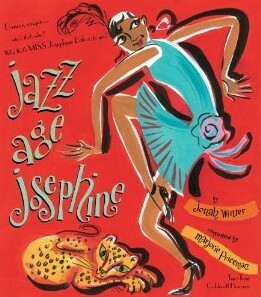 Jazz Age Josephine [Hardcover]- A picture book biography that will inspire readers to dance to their own beats! Ho Che Anderson has spent over 10 years researching, writing, and drawing King, a monumental graphic biography that liberates Martin Luther King Jr. from the saintly, one-dimensional, hagiographic image so prevalent in pop culture. Here is King—father, husband, politician, deal broker, idealist, pragmatist, inspiration to millions—brought to vivid, flesh-and-blood life. 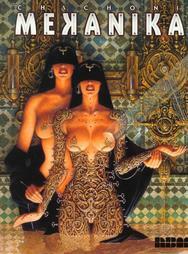 Out of print since 2006, King is Fantagraphics’ most-requested reprint. 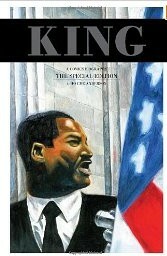 In recognition of the advances made in American social equality that has made it possible to elect America’s first black President, Fantagraphics Books is publishing King: The Special Edition, a newly designed volume that includes the original 240-page graphic biography, as well as nearly a hundred additional pages of “extras,”. 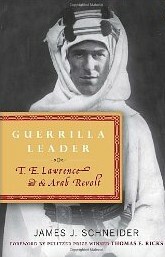 Reclaiming T. E. Lawrence from hype and legend, James J. Schneider offers a startling reexamination of this leader’s critical role in shaping the modern Middle East. Just how did this obscure British junior intelligence officer, unschooled in the art of war, become “Lawrence of Arabia” and inspire a loosely affiliated cluster of desert tribes to band together in an all-or-nothing insurgency against their Turkish overlords? The answers have profound implications for our time as well, as a new generation of revolutionaries pulls pages from Lawrence’s playbook of irregular warfare. Blowing up trains and harassing supply lines with dynamite and audacity, Lawrence drove the mighty armies of the Ottoman Turks to distraction and brought the Arabs to the brink of self-determination. But his success hinged on more than just innovative tactics: As he immersed himself in Arab culture, Lawrence learned that a traditional Western-style hierarchical command structure could not work in a tribal system where warriors lead not only an army but an entire community. Weaving quotations from Lawrence’s own writings with the histories of his greatest campaigns, Schneider shows how this stranger in a strange land evolved over time into the model of the self-reflective, enabling leader who eschews glory for himself but instead seeks to empower his followers. Guerrilla Leader also offers a valuable analysis of Lawrence’s innovative theories of insurgency and their relevance to the ongoing turmoil in the Middle East. With insights into Lawrence’s views on discipline, his fear of failure, and his enduring influence on military leadership in the twenty-first century, Guerrilla Leader is a bracingly fresh take on one of the great subjects of the modern era. 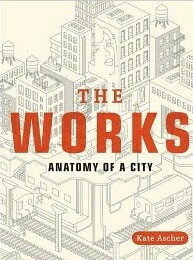 The Works: Anatomy of a City [Paperback] by Kate Ascher – A fascinating guided tour of the ways things work in a modern city. Have you ever wondered how the water in your faucet gets there? 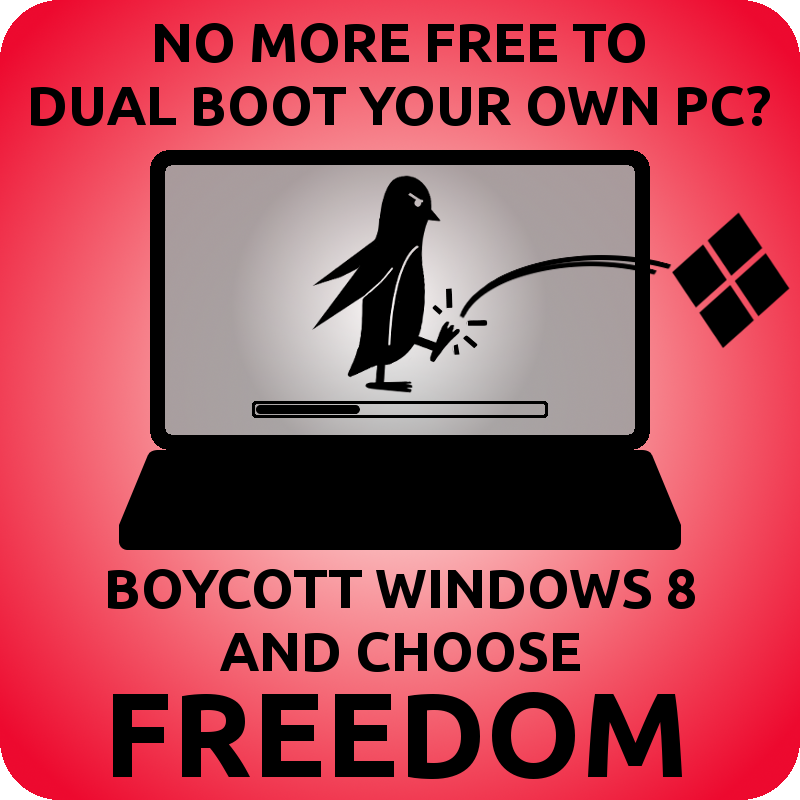 Where your garbage goes? What the pipes under city streets do? How bananas from Ecuador get to your local market? Why radiators in apartment buildings clang? Using New York City as its point of reference, The Works takes readers down manholes and behind the scenes to explain exactly how an urban infrastructure operates. Deftly weaving text and graphics, author Kate Ascher explores the systems that manage water, traffic, sewage and garbage, subways, electricity, mail, and much more. Full of fascinating facts and anecdotes, The Works gives readers a unique glimpse at what lies behind and beneath urban life in the twenty-first century. Beneath the Metropolis: The Secret Lives of Cities [Paperback]- The pulse of great cities may be most palpable above ground, but it is below the busy streets where we can observe their rich archaeological history and the infrastructure that keeps them running. 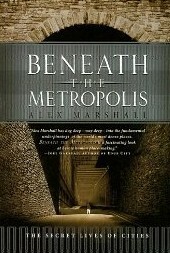 In Beneath the Metropolis journalist Alex Marshall investigates how geological features, archaeological remnants of past civilizations, and layered networks transporting water, electricity, and people, have shaped these cities through centuries of political turbulence and advancements in engineering — and how they are determining the course of the cities’ future. From the first-century catacombs of Rome, the New York subway system, and the swamps and ancient quays beneath London, to San Francisco’s fault lines, the depleted aquifer below Mexico City, and Mao Tse-tung’s extensive network of secret tunnels under Beijing, these subterranean environments offer a unique cross-section of a city’s history and future. Stunningly illustrated with colorful photographs, drawings, and maps, Beneath the Metropolis reveals the hidden worlds beneath our feet, and charts the cities’ development through centuries of forgotten history, political change, and technological innovation.